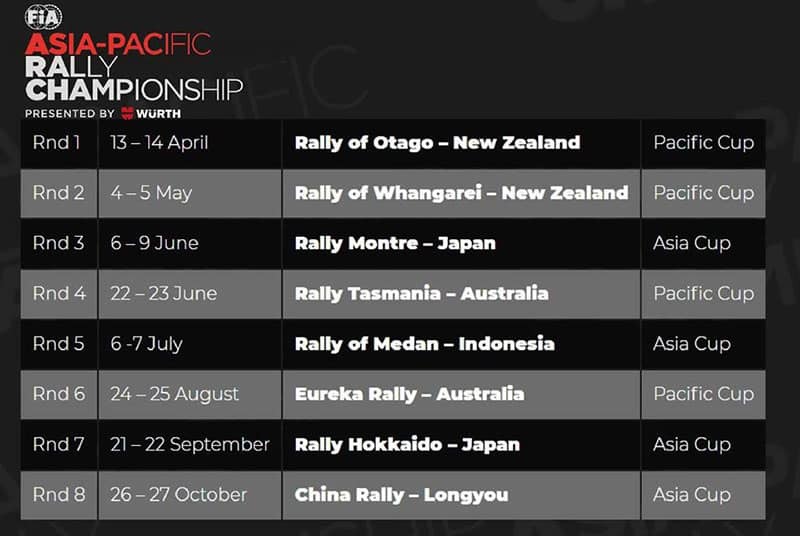 The APRC has finalised its 2019 calendar, with a second Japanese round, Rally Montre, replacing the Rally of Johor. As previously announced, this years APRC will feature a completely new format, with four Pacific Cup events, four Asia Cup events, and the Grande Finale round in China. The qualify for entry to the Grand Finale, crews will have to compete in either two Pacific Cup or two Asia Cup rounds. Winner of the Grand Finale in China will be crowned the overall FIA APRC Champion for 2019. Japan’s Rally Montre, a regular event in the Japan Super Rally Series, is a completely new event to the APRC, and features a combination of gravel and tarmac stages.